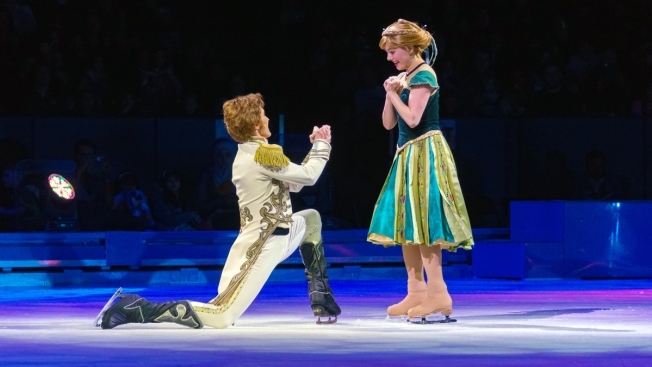 Princess Anna and Prince Hans dance during Disney on Ice celebration show. Elsa, the hero from the Disney animated movie "Frozen," has been a hot topic of conversation since the Twitter campaign #GiveElsaAGirlfriend gained traction last month. Its creator, Alexis Isabel Moncada, tweeted at Disney: "Dear @Disney, #GiveElsaAGirlfriend," and the movement has been gaining popularity. Conservative groups like CitizenGo.org want Disney to have Elsa end up with a prince. In order to do this, they have started an online petition, saying that Elsa being paired with a man "promotes solid family values to our children and represents the natural family."